Suffixes - I have...What does it mean? 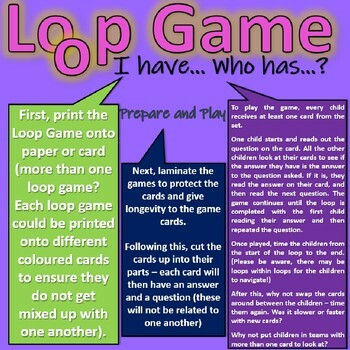 Loop Game (36 Cards) Fast and fun! 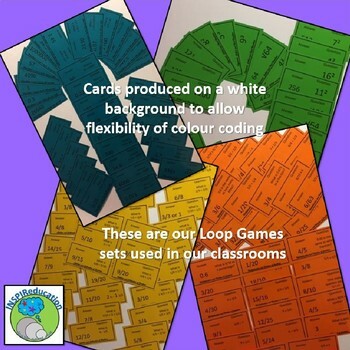 This loop game was devised by us to support our children develop a greater knowledge of suffixes used in everyday language - as well as preparing them for assessments in language. 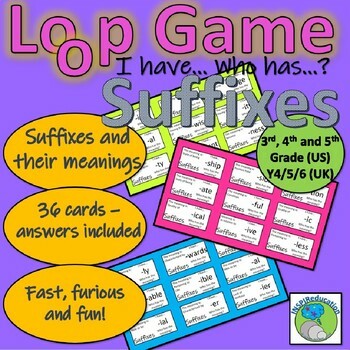 This loop game contains 36 suffixes and their associated root meaning which can be played vice versa, either asking the suffix first and then answering with the meaning, or asking the meaning first and responding with the suffix. Playing is easy. Print the words for the game and cut the cards into the 36 playing cards. Each child receives at least one card - ensuring that all the cards are handed out. Select a child to read the suffix on their card. The children then look at their cards to see if they have the meaning for that suffix on their card. If they do, they read the meaning, and then read out the new suffix. The game continues until all of the cards have been used. For teachers, school staff or as a home based activity, there is also an answer sheet which links all suffixes with their meanings. As the children play this game, they will be learning 36 suffixes and their meanings! Once the children have played it a few times and understood the rules, swap the cards around the children. Play again. You will find that children will start learning and reciting the words when children reveal what is on their cards. In UK schools, this game is great for preparation of SPAG! Start with the meaning first and see if the children can guess the suffix? Use the cards as dominoes for a learning centre. Time the children with a stopwatch - what is the fastest time the children can complete the loop game in? 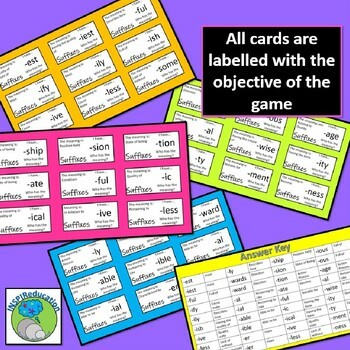 Our children love this game, and we know that they understand all 32 suffixes. They can now apply their knowledge to the meanings of words where the suffixes are used. We have recently published our prefix game to go hand in hand with this game - see the link below!